Posted on 07/03/2015 by Jeremy Bailey	in Around Town and tagged baseball, Calvin Coolidge, Cincinnati Reds, Fourth of July, MLB, Racing Presidents, San Francisco Giants, Washington Nationals. The Nationals had a very healthy June (15-11) and moved back into first place. They currently have a 3.5 game lead over the Mets. They play the Giants at home over Independence Day weekend, and then the Reds next week. And Calvin Coolidge is the new Racing President! Enjoy a special patriotic fireworks display to kick off Independence Day weekend. Prior to the fireworks, fans will be treated to a performance in the outfield by the United States Navy Ceremonial Guard Drill Team. Independence Day Presented by SAIC: In honor of our nation’s independence, the Nationals will host the third of four games included in the 2015 Patriotic Series. Pregame ceremonies are dedicated to members of the military. Note the time for the first pitch has been changed from 1:35 p.m. to 8:08 p.m. due to ESPN selecting the game as part of ESPN Sunday Night Baseball. As part of the celebration of the team’s 10-Year Anniversary, the first 25,000 fans to enter Nationals Park through ALL GATES will receive a Stephen Strasburg bobblehead presented by GEICO. The bobblehead commemorates Strasburg’s debut game on June 8, 2010 and is the third of five “Great Moments in Nationals History” bobbleheads. Join fellow @Nationals social media fans for the first #SocialFanNight of 2015. All social fans who purchase a ticket through nationals.com/socialfans will be seated in a special social section in the ballpark. Fans will be featured on the NatsHD Scoreboard throughout the night. Dress up like Jayson Werth or a Racing President. Prizes for best costume, best poster, and honor fans showing their Nats pride. Fans can enjoy $1 Good Humor ice cream novelties available at select Nats Dogs stands until the start of the sixth inning, while supplies last. The first 10,000 fans to enter the ballpark through ALL GATES will receive a 10-Year Lapel Pin. To celebrate the 10-Year Anniversary, six monthly 10-Year Tuesdaygames will feature a collectible keepsake. The Nationals Lapel Pin is the fourth 10-Year Tuesday collectible. As fans enter the ballpark, Peet’s Coffee will provide complimentary samples of Peet’s Iced Coffee outside Center Field Gate on N Street SE. Available while supplies last. 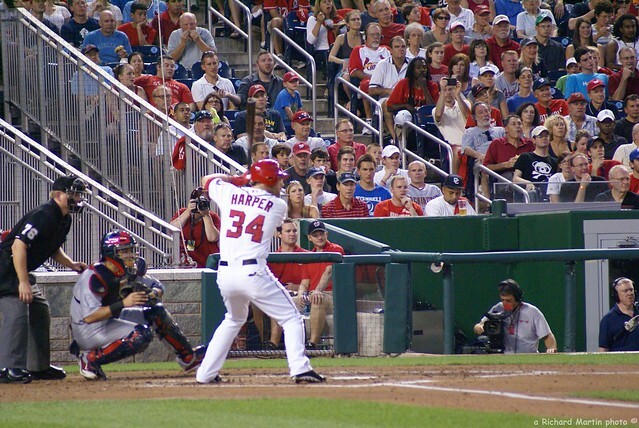 The Nationals dedicate one game each year to members of the Southwest D.C. community. The team works closely with local community partners to provide discounted ticket offers and participation in pregame festivities.